Mirror Class rules allow the mainsheet to be rigged so it comes to the helm from either the aft transom or from near the centre of the thwart (seat) or directly from the centre of the main boom. 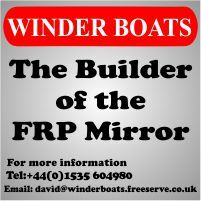 Traditionally Mirror dinghies had an aft mainsheet with a 2:1 purchase. 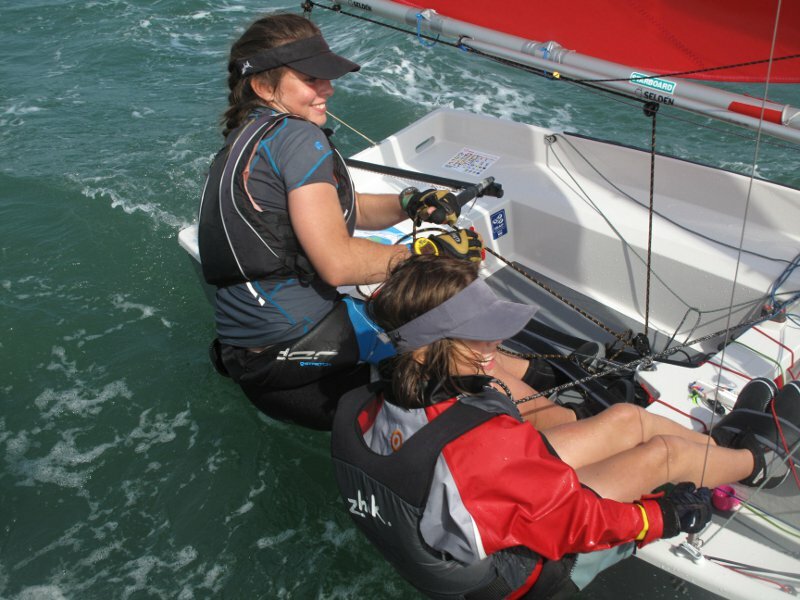 Since centre mainsheets have been allowed, they have become standard on new boats. The UK MCA recommends that children are taught to sail on boats with a centre mainsheet as this is now the standard system on nearly all dinghies sailed in the UK (Optimist, Pico, Topper, 420, 29er,....). 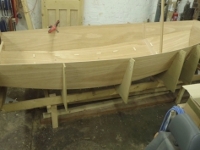 It allows children to move to, and from, Mirror dinghies without having to learn to tack in a different manner. Use a GNAV (strut) kicking strap. 1.7.5 The distance between the centres of the mainsheet attachment points on the transom - Minimum 450mm, Maximum 500mm. The current rules would allow a Oppie/420 style mainsheet where the mainsheet and mainsheet blocks are only attached to the central block behind the thwart and the middle of the boom. However, I can find no examples of anyone actually doing this on a Mirror, probably because when you try to centralize the boom, this system puts a large load on the leech, exactly what you don't want in a light/moderate breeze.